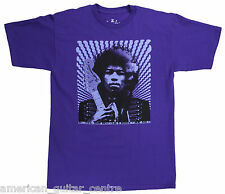 Jimi Hendrix in London 1968 Color Poster 34" X 24"
JIMI HENDRIX. 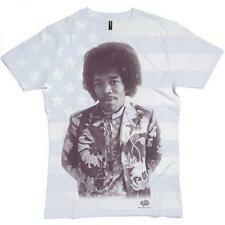 THE ULTIMATE JIMI HENDRIX COLLECTABLE. RARE AUTOGRAPH / SIGNATURE. COLLECTORS PHOTOGRAPH. DIRECT FROM THE UK. 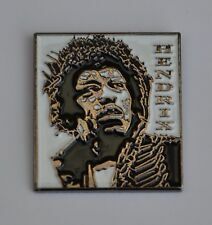 YOU TO OWN THIS UNIQUE COLLECTORS ITEM AT A.
Jimi Hendrix Lapel Pin Badge. 20p P P for each extra badge/cufflinks/tiepin/keyring . JIMI HENDRIX, PINK FLOYD. VERY RARE CONCERT TICKET STUB. THE TICKET IS IN VERY GOOD CONDITION WITH MINOR CREASING NO WRITING OR TEARS - (very slight stain between the 'r' and 'i' of 'Hendrix' not too intrusive!). 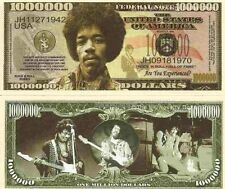 The front of the Bill picturesJIMI HENDRIX and is numbered JH11271942 and JH09181970 (dates of birth and death). They are also excellent novelty gifts. Perfect for framing or including with Greetings Cards. This item is a totally unique, hand-carved beer can featuring a portrait of the ultimate guitar legend, Jimi Hendrix. The effect works by placing a tealight candle inside (the base is cut out so the can fits over it) allowing the light to shine through the carving creating this amazing silhouette image which looks very cool in a darkened room… Makes a great one-off gift and a must have for any Hendrix fan. JIMI HENDRIX - Purple Haze ALL ALONG THE WATCHTOWER Record Label Vinyl Sticker. Screen print: Beautiful Silk Screen print. Condition: New and has been officially reproduced directly from original artwork under the supervision of Nigel Waymouth himself. Artist: Jimi Hendrix. The condition is mint. Near mint = Almost like new with one or two very minor flaws. 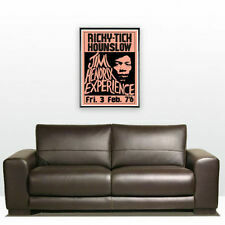 Excellent = Minor wear yet looks attractive and is perfectly usable. Our Grading System Explained. A modern glossy reprinted photograph showing the Jimi Hendrix Experience sat at a table, Jimi is holding a microphone. Very good plus condition. Good = Apparent wear and tear but with obvious deterioration of the condition. Jacket has never been worn. Shows as XL but I would say looks more like a L. VERY Rare numbered 399. Trusted seller. 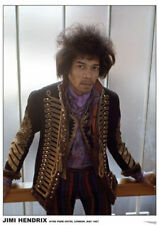 Three photographs of Jimi Hendrix in London in 1967. There is a photographer’s sticker on the reverse of each one. The condition is excellent. Good = Apparent wear and tear but with obvious deterioration of the condition. A modern reprinted black and white glossy photograph of The Jimi Hendrix Experience sat around a table pretending to eat a woman with knives and forks. Good = Apparent wear and tear but with obvious deterioration of the condition. Size Approx 54cm X 67cm. Taken in Maui Hawaii before the Rainbow Bridge Concert in 1970. This is NOT a reproduction so no need to ask. 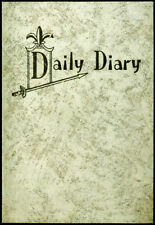 It is one of the 1st & only print run unearthed by a collector in San Francisco. 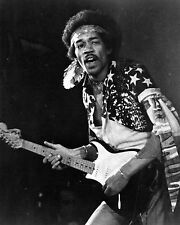 A modern reprinted black and white glossy photograph of Jimi Hendrix. In the photo Jimi is pretending to be strangled by a woman. Good = Apparent wear and tear but with obvious deterioration of the condition. 4 CDs in a purple 80 page book type case. For orders of £50 and over, see prices below. International Signed For (Orders over £50) £13.00. 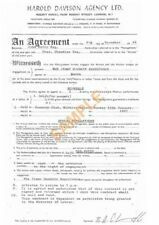 International Signed For (Orders over £50) £11.00. Th May 1967. The condition is very good minus. Near mint = Almost like new with one or two very minor flaws. Good = Apparent wear and tear but with obvious deterioration of the condition. Excellent = Minor wear yet looks attractive and is perfectly usable. Jimi Hendrix Concert Ticket Stub Copenhagen 1970 (Denmark). 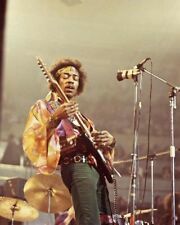 After this concert Jimi would only perform on two more occasions. The condition is very good plus. A plus or minus after the grading indicates that the condition is marginally higher or lower than the stated grade. Jimi Hendrix Swedish book published late 2017 written by Jan Hallberg. Swedish language book, full discography, songs, bootlegs, video. No photographs except front and rear cover, only for the serious collector who needs to keep the collection up to date. Paperback size, yes slightly pricey, but make an offer and see, Or you can always track it down yourself and pay the various postage packing import costs from Sweden. Th September 1960. 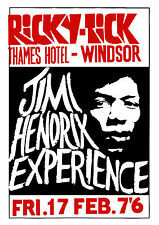 The event featured performances by Ginger Baker, Canned Heat, Mungo Jerry and Jimi Hendrix. The condition is very good minus. Excellent = Minor wear yet looks attractive and is perfectly usable. The Jimi Hendrix experience box set with Velvet case, CD's and Book. An original handbill that was produced to promote the Jimi Hendrix Experience, Walker Brothers and Cat Stevens performance that took place at the Gaumont Theatre, Wolverhampton, England on 13. th April 1967. JIMI HENDRIX - ELECTRIC LADYLAND - FRONT COVER. BEATLES - GEORGE HARRISON - WONDERWALL MUSIC - ADVERT. 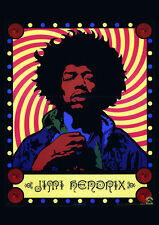 Jimi Hendrix Lampshades Ideal To Match Jimi Hendrix Wall Decals & Stickers. THE MONKEES Original EARLY 1967 Concert Handbill - Only their 11th concert ever! 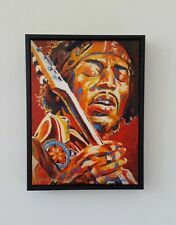 Jimi Hendrix Forever Stamps , Original, Unique and Professionally Framed .